A. 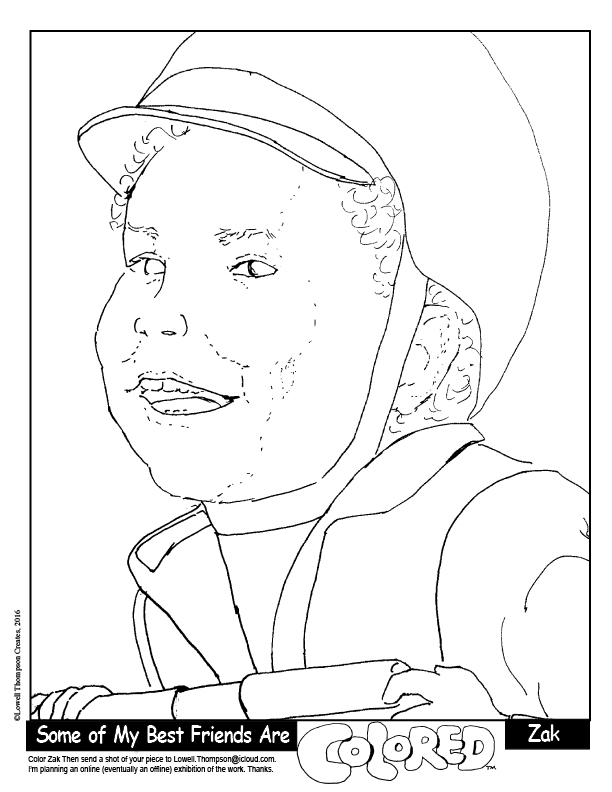 One 11" X 14" Page One Coloring sheet. 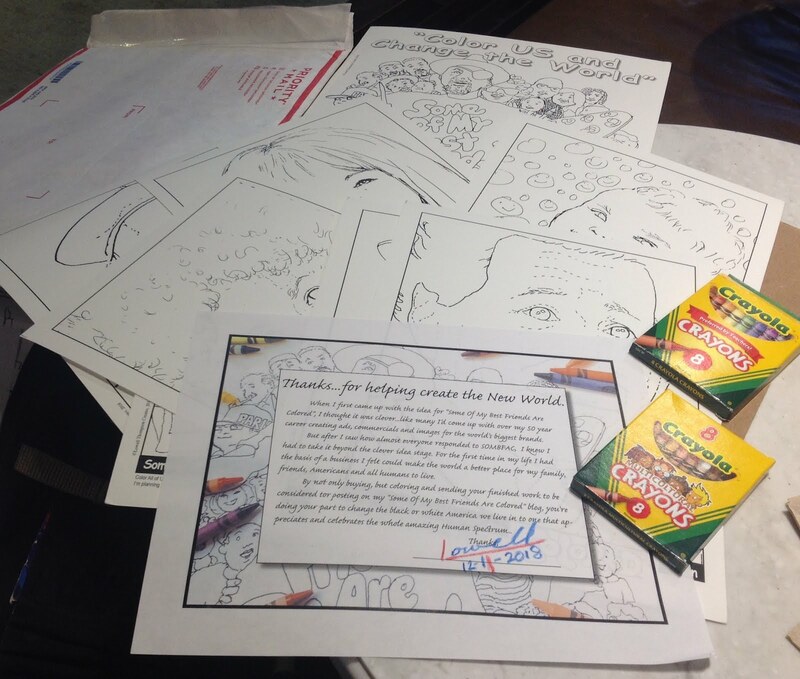 As an incentive to order soon, I'm personally signing my half of the Page One SOMBFAC Coloring Page on the first 100 orders. The person who colors it signs the other half, takes a shot of the finished piece and emails it to moi at: lowellt@hotmail.com. It's then a candidate for my "Some of My Best Friends Are Colored" blog. 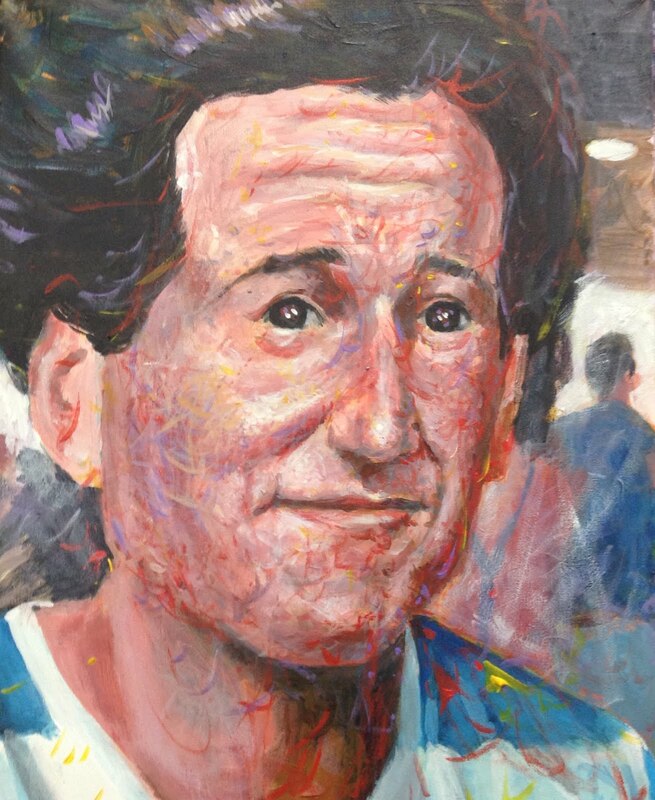 It's also eligible to be in my ongoing SOMBFAC Never Ending Art Show. Just send a check for $20 + $5 shipping & handling to: Lowell Thompson, P.O. Box 408343, Chicago IL, 60640-8343. Or send it to me via PayPal: lowellt@hotmail.com. Be sure to include your mailing and emailing address. 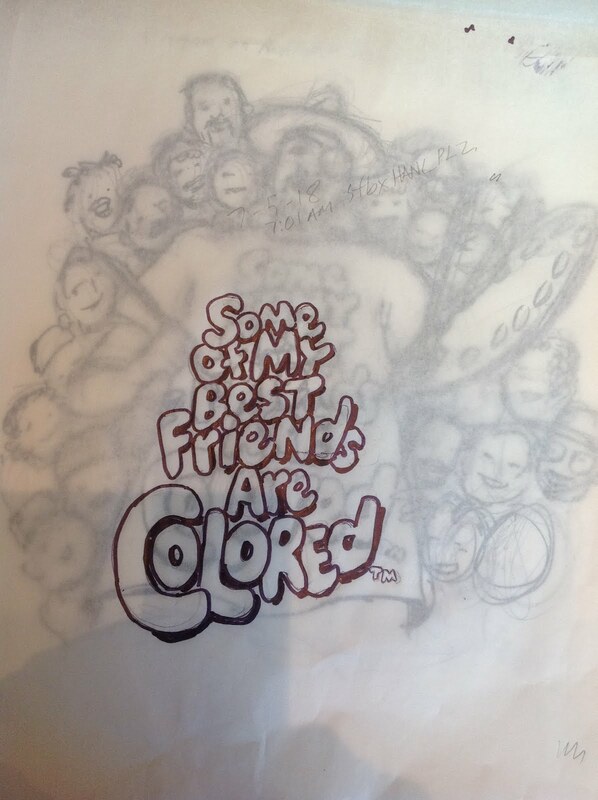 ...all through my studio I wuz putting together my first "Some Of My Best Friends Are Colored" Human Coloring Kits. And you can be the first kid on your blo...I mean on your planet...to own one. And, as an incentive to order soon, I'm personally signing my half of the Page One SOMBFAC Coloring Page on the first 100 orders. The person who colors it signs the other half, takes a shot of the finished piece and emails it to moi at: lowellt@hotmail.com. It's then a candidate for my "Some of My Best Friends Are Colored" blog. 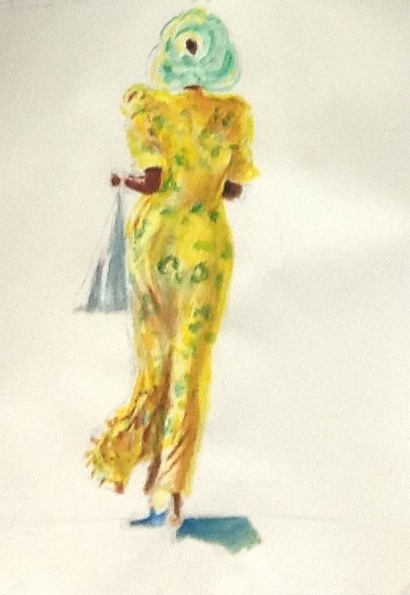 It's also eligible to be in my ongoing SOMBFAC Never Ending Art Show. 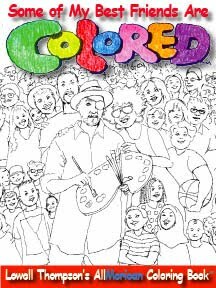 I've been working to get my "Some Of My Best Friends Are Colored" Human Coloring Book out by the holidays. Well I my Cover page is almost ready for prime time! 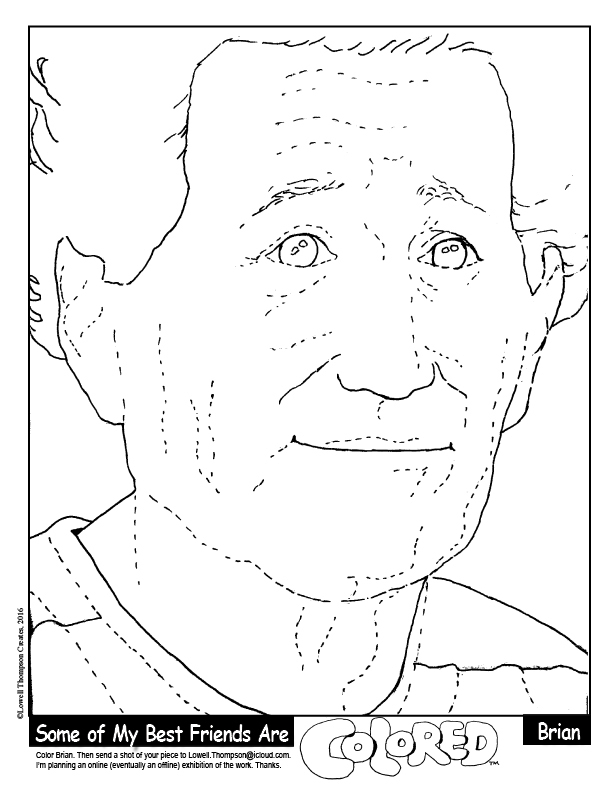 You'll be able to get it with specially selected Human Colored Crayons soon. Please stand (or sit) by. 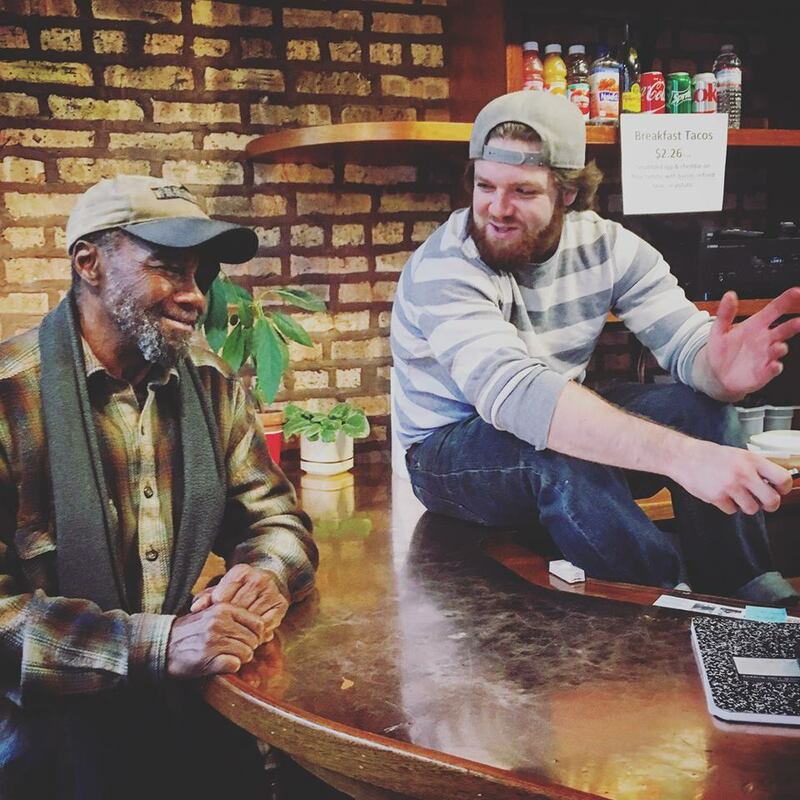 First, the bad news: Chicago Community Trust, which sponsored the great event last year at Emerald City Coffeehouse in Uptown, Chicago, decided not to sponsor it any further. Why? They told me someone(s) at CCT were afraid of the word "Colored". Someday, remind me to expound on this, but not now. I'm on to bigger and better things. Now, the good news: After spending the last year working on other projects, including publishing my world-shaking ebook, "Branding Humans: Selling White Supremacy to America", I'm now back to my SOMBFAC project full-time. Look at the new logo I'm working on. 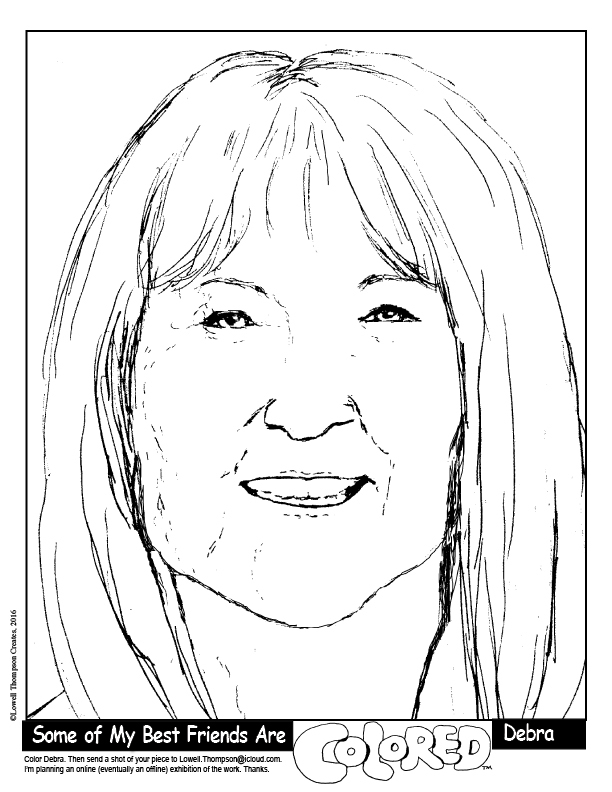 Please stay tuned as I develop the coloring book, a new pop-up event, an exhibition and who knows what else. 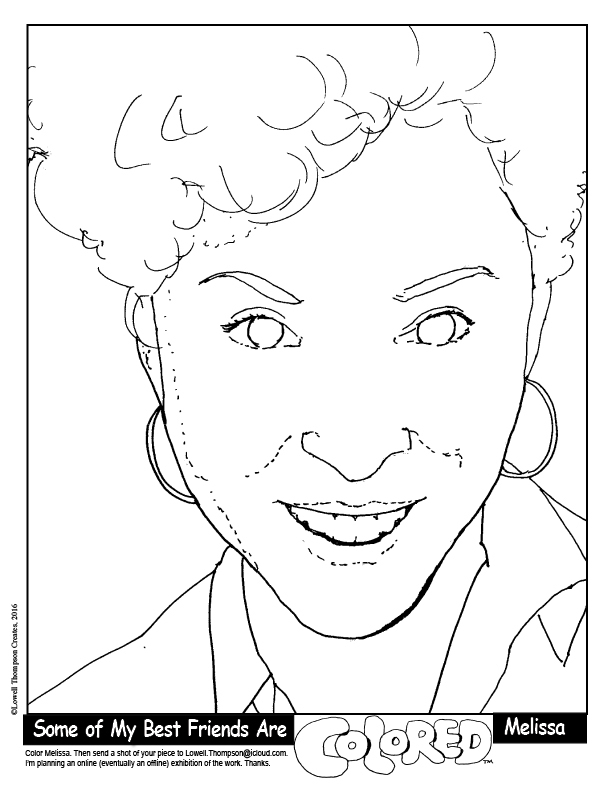 I'm even looking for an app developer to turn it into a coloring book app. Any ideas? 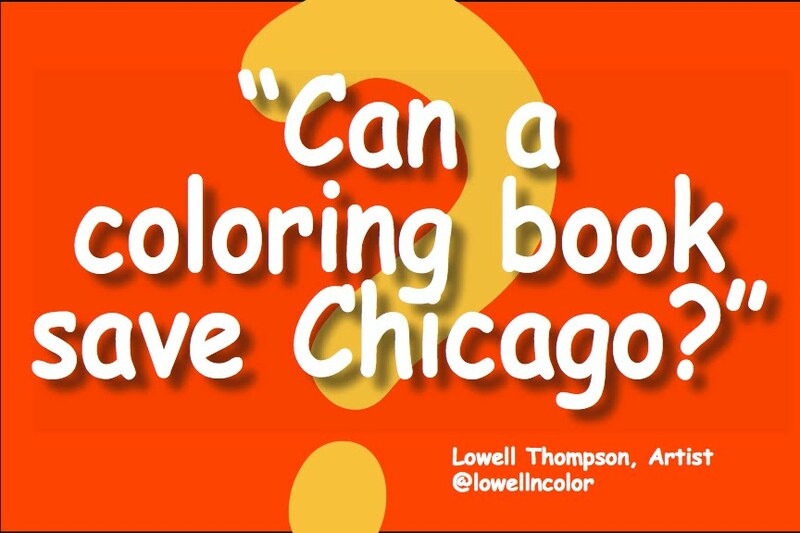 CAN A COLORING BOOK SAVE CHICAGO? Call me crazy (you wouldn't be the first), but I think this may be the most important event to happen in Chi-Town since...since...er...ummm...ever. It's my latest (some say "greatest") attempt to save America...from itself. I'm starting right here in my home town, Chicago because it's known by many as the most segregated big city in the USA. If I can save the Windy City, the rest of the country should be a breeze. 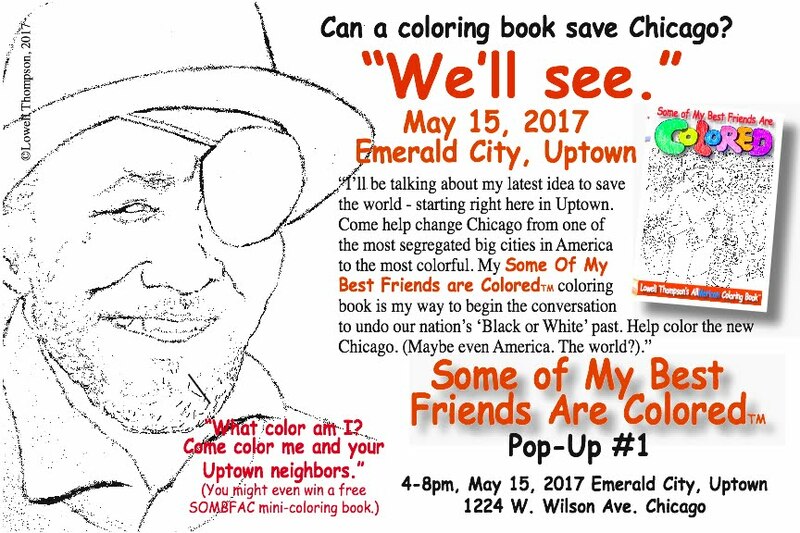 Come and color, listen to me blab about my world-shaking ideas, You could even win a mini-copy of "Some Of My Best Friends Are Colored", the world's first Human Coloring Book. If you miss it, you'll hate yourself in the morning...and every morning for the rest of your life...maybe. OK, it's finally official. My first SOMBFAC Pop-Up Experience is actually happening! May 15, 2017 at Emerald City, Uptown. Please stay tuned for more info. 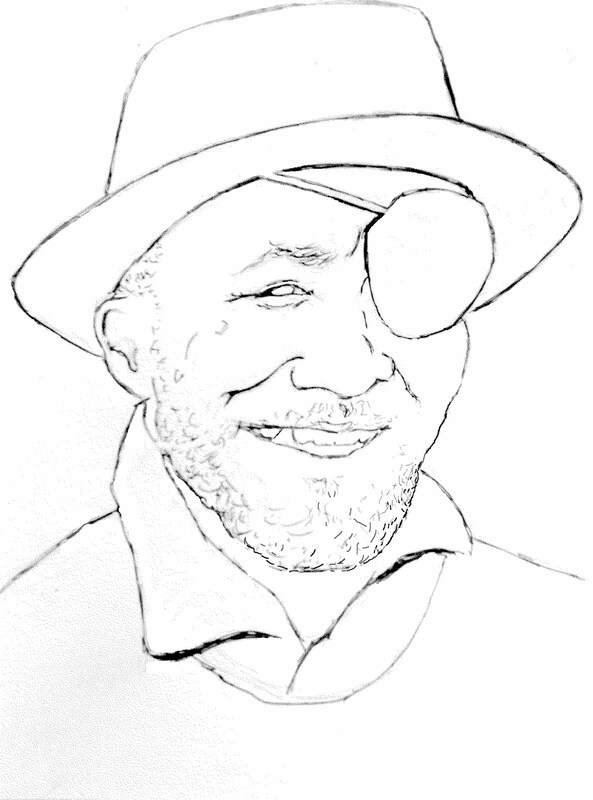 I'm working on the new logo. Whadya think? 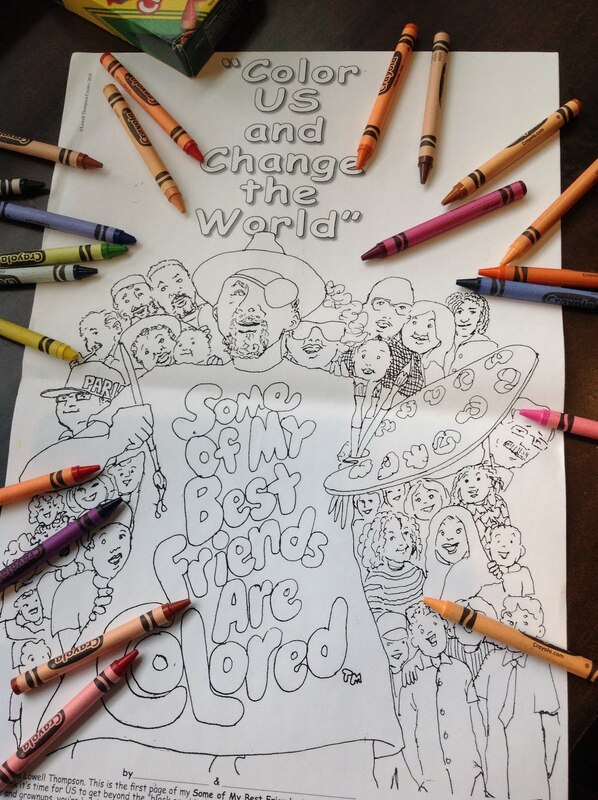 Come color me and many others at my first SOMBFAC Po-Up! This is my first "Some Of My Best Friends Are Colored" drawing and completed painting. It's of the first person who really got excited about the idea, Brian Rooney, the amazing actor. 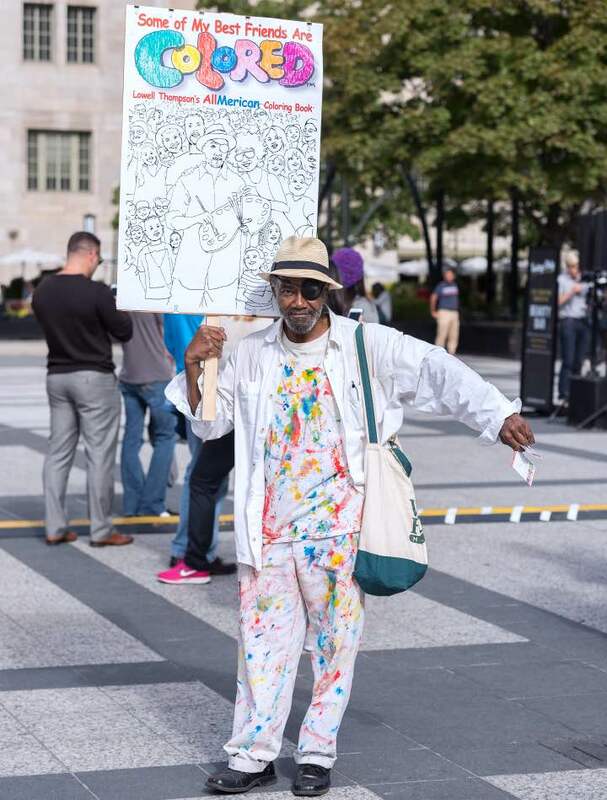 He's one of the colorful characters I've met in Uptown. He's actually on tour in "The Grinch That Stole Xmas" on the East Coast right now. Tommy, the comedian laughs at MY jokes at Emerald City, Uptown. This is a great kid in my neighborhood. Brian Rooney is an actor, a man of many faces. 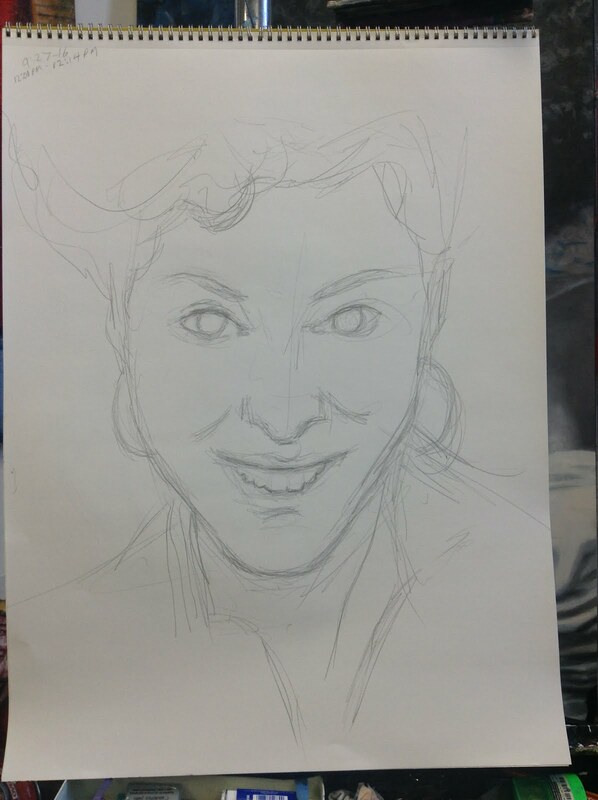 How would you color this one? I'm an artist/writer/recovering adman who uses his talent and experience to create a better world, starting here in the U.S.A. 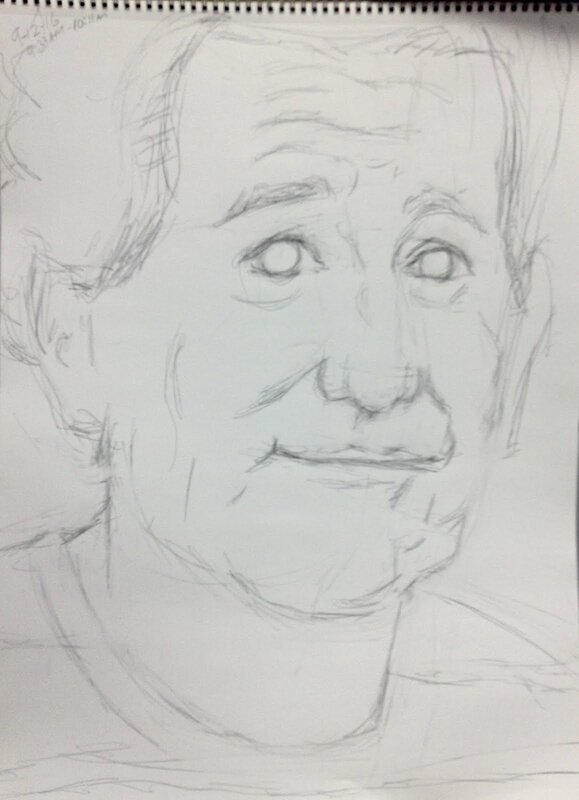 Although I spent most of my adult life creating ads and commercials for some of America's biggest companies, Around 2000, I began building a new career as a artist/writer/recovering adman. I think of myself as a Creative Catalyst. I instigate new ways of looking at (and solving) old problems, spending most of my time on race relations and other social causes.